When Ensign Samuels materialized, she found herself standing outside this strange structure. The atmosphere seemed breathable, according to her handheld instrumentation. Breathable for her, anyway. There was no way of knowing what type of creature inhabited this planet. Welcome to the Indies Unlimited Flash Fiction Challenge. In 250 words or less, write a story incorporating the elements in the picture and the written prompt above. Do not include the prompt in your entry. The 250 word limit will be strictly enforced. On Tuesday night, judges will select the strongest entries, and on Wednesday afternoon, we will open voting to the public with an online poll so they may choose the winner. Voting will be open until 5:00 PM Thursday. On Saturday morning, the winner will be recognized as we post the winning entry along with the picture as a feature. Then, at year end, the winners will be featured in an anthology like this one. Best of luck to you all in your writing! Entries only in the comment section. Other comments will be deleted. See HERE for additional information and terms. Please note the rule changes for 2015. She’d been settled for only a few minutes. A thick haze of humidity engulfed her. She hadn’t moved a muscle, but already the excessive moisture in the air began to leak through her suit and drain into her boots. A light flashed on a hilltop in the distance, barely visible through the haze of water vapor. Answering flashes of bright white light made their way out of the top of the structure directly in front of her, fifty meters distant. Some kind of laser beam, perhaps, or more likely an information download, she thought. Samuels stepped forward to advance on the building. Everything around her was green-trees; shrubs; grass. At least, that’s how the plant growth appeared to her. Obviously plenty of water, wherever she had landed. It might have been a lot worse had Jeffries intended to send her straight to hell-whatever and wherever that might be. The only unpleasant-looking thing was the ugly gray building and its crystal-shaped windows in her path. She carefully approached the circular wall. She walked beside it for a hundred meters. The entire time, she sloshed around in her water-logged clothing. She thought about removing some of it, but decided to be better safe than sorry. She hesitated and then stopped at an almost imperceptible seam. A slight humming sound emanated from within as a thick, heavy door opened. She stepped inside and immediately began silently thanking Ensign Jeffries for being so determined to eliminate her. One alien stepped forward and pointed a device at her. It beeped several times. Ensign Samuels could only speculate that it was a sensor and they were trying to figure out who she was. So far there was no hostility and she was glad. She observed them conversing and then one addressed her. Ensign Samuels felt the blood drain from her face. Not good, not good at all. How could she save her planet from invasion? Ensign Samuels had never gotten used to the teleportation process. She dropped to her knees almost at once; the entire contents of her stomach creeping up the back of her throat. Beads of perspiration dotted her brow as she lurched forward. Dark sand flowed over her hands. It took all of her will and self control to keep herself from vomiting. She pushed herself up onto her knees and wiped a thick string of saliva from her chin. Samuels froze in terror, both hands hovering just in front of her rapidly rising chest. The voice was deep, almost grizzled. Male. Human. She turned her head quickly. Curiousity will be your downfall, as Captain Sheerhan used to say. “You’re….you’re human.” Her voice trembled with each word, despite her training on dealing with situations such as these. She considered her options and quickly came to the conclusion that she had none. This was all some sort of misunderstanding. Still, she did as she was told. The man grasped her hands and clamped a metallic device around her wrists. Katie Samuels was no stranger to strange places. Having spent her twelve month internship for ISEU (International Space Explorations University) on the United National Space Station. She had nine separate planets and had contact with three alien life forms logged on her ISEU doctorate, so this would be her tenth. Malcom Jefferies had been her peer, her associate for most of that time. Katie knew there was a reason that she never liked the guy. He had cold, beady eyes that seemed to be aimed in her direction every time they shared space. He made her uncomfortable and her intuition told her not to trust him. She was positive he was to blame for the miscalculations that put on this unknown planet. Having been trained to be on alert for aliens or any other dangers that may be lurking nearby, Katie stayed low. Her Oxyameter read that the atmosphere was safe but then why was Katie feeling so light headed she wondered. She sat on a structure that kept her out of sight of the larger dome like structure a short distance to her left. Feeling faint and weak Katie tried to make out the sounds she heard coming from the direction of the structure. They grew louder and there seemed to be two or three different tones. Based on her experience, Katie guessed that there were life forms headed her way. Unable to move she glanced toward the sounds that neared rapidly. Blackness engulfed her and she fell to the ground. Unknown to Katie Samuels, Ensign Jefferies had placed her in what she would soon find to be a haven, a place of love and serenity, the likes she had never known before. Sensations as she began to awaken were of peace and calm. The scent in the atmosphere was sweet and slightly floral. Was that music? It sounded like harps and maybe a flute of some sort. It was very faint and very far off, yet it surrounded her as well. Her eyes fluttered open and a small child like life form stood over her. The angelic face was surrounded by golden furls of silken hair. Large, very light blue eyes looked into Katie’s. Its mouth was similar to Katie’s own faint pink shapely one and spoke softly. Katie Samuels was no stranger to strange places. Having spent her twelve month internship for ISEU (International Space Explorations University) on the United National Space Station. She had nine separate planets and had contact with three alien life forms logged on her ISEU. This would be her tenth. Malcom Jefferies had been associate for most of that time. He made her uncomfortable and intuition told her not to trust him. She was positive he was to blame for this misplacement. Keeping low and out of sight of the dome like structure to her left. Her Oxyameter read that the atmosphere was safe but then why the light headedness she wondered. Katie tried to make out the sounds she heard coming from the direction of the structure. They grew louder and there seemed to be two or three different tones. Katie guessed that there were life forms headed her way. Feeling faint and weak, unable to move, she glanced toward the sounds that neared rapidly. Blackness engulfed her and she fell to the ground. Sensations upon awakening were calming. The scent slightly floral. Sound of harps. Her eyes fluttered open and a small child stood over her. The angelic face was surrounded by golden furls. Large blue eyes looked into Katie’s. “Welcome to Alyndious, I have been waiting for you Mother.” Unknown to Katie, Ensign Jefferies had placed her in what she would soon find to be a haven, a place of love and serenity like she had never known. Ensign Samuels stared at the crystal dome and surrounding forest. “It must be a mistake.” Then she remembered the look Jeffries had given her, his insistence on entering the coordinates, and his desire for the promotion they both sought. Their time alone on the space station had been unpleasant. But this? “Focus,” she whispered. 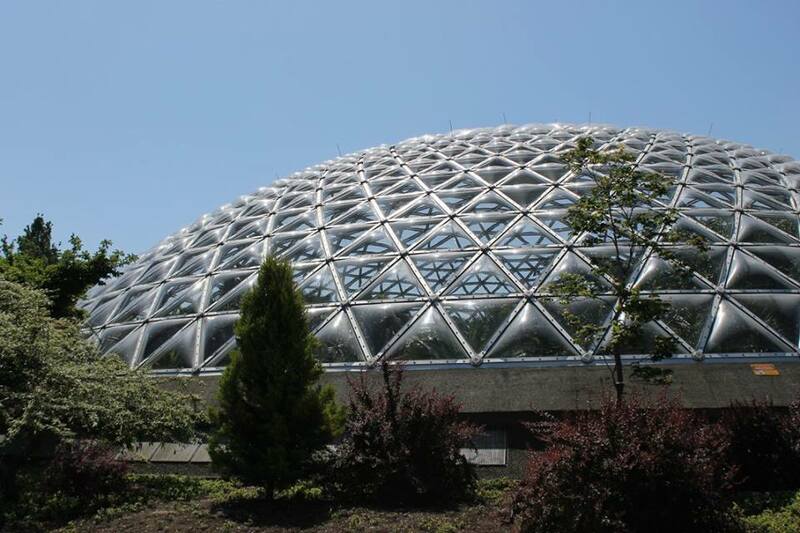 “Match the architecture to an alien culture.” She walked around the dome until she saw a door and hid in the trees. She was good at waiting – five months alone in space with that creep had taught her patience. Hours later the door opened and four aliens stepped out. “Please no,” she mouthed silently. 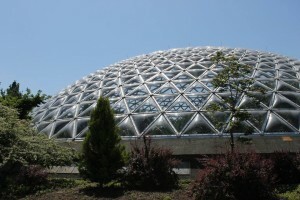 Cyber arachnids; the design of the dome was derived from their eyes. She should’ve known. Be still, she thought. They saw movement easily, but stationary objects blended into the background; a design fault of their species. When they marched in sync into the trees she ran into the dome and down the corridor to the central chamber. She’d worked with weapons and recognized it immediately. “Nine seconds! The coordinates?” She only knew those of headquarters and the space station: these were neither. “Who do you attack?” She hesitated, then entered the space station coordinates. Two seconds later the bomb vanished. “Goodbye Jeffries,” she said. Samuels reentered the previous coordinates, knowing they would check, and stepped onto the transfer pad reciting the cyber arachnids’ coordinates. She grinned in relief at the stunned, blue and red avian aliens. As Samuels scanned the area, she knew that where ever she had ended up, she was far from home now. Dealing with Jeffries and his ‘mistake’ would have to wait. No life signs had been picked up with her scanner but it was unable to penetrate through the odd surface, it didn’t register the surface at all. The entire building appeared as a blank spot on her device. She circled around the perimeter of the structure in search of an entry point. She found a gateway made of a glass like substance that dilated open as she approached. The interior of the building appeared to be a bit rustic, though on a level of technology at least approaching her own. Walls of computers blipped and blooped in conversations that didn’t include her. As she wandered the halls she began to see the pattern of the structures layout. Though she couldn’t read the writing, there were a number of pictograms that she could follow. She followed the symbols toward what she hoped to be a vehicle bay and a way off this strange world. It turned out that the symbols meant nothing of what she had thought they did. As she had searched for an escape, the roof lifted up and off of the structure. A giant hand reached inside and wrapped around her waist. The realization of the danger came to late when she looked in the eyes of the giant child. “Ensign Jeffries, there’s been a malfunction,” said Samuels. She glanced at the strange dome with the bulging transparent material, then checked the air quality analyzer. This wasn’t Republic headquarters but at least the air was breathable. The structure was huge, unlike anything she’d ever seen. Only supremely advanced and powerful creatures could have made such a fragile looking building. This civilization had to be more treacherous than hers. Teleportation was risky. People used to end up in walls, underground, midair, even floating in space, but there hadn’t been any off world malfunctions like this in years. She and Jeffries were top technicians. They didn’t make mistakes. In fact, they were both up for the same promotion. A frightening thought made her throat constrict. Static greeted her, not unlike Jeffries’ expressionless look when he initiated the transport. This wasn’t a mistake. A huge, furry creature barreled toward her. Its lips pulled back showing savage teeth and a long tongue. Her universal translator couldn’t interpret what it bellowed. Panic gripped her. The massive beast knocked her to the ground. Samuels screamed. Saliva splattered her face. Samuels stopped shaking as he helped her stand. He didn’t seem dangerous and was rather attractive. The dog flopped, tail wagging, too cute to ignore. Maybe this place wasn’t so bad. I pushed the comlink on my helmet and waited. Nothing but the crackle of static greeted me. “I have no idea.” Jeffries said with a laugh. Jeffries’ laughter filled my ears. A click and silence followed. I threw my helmet to the ground in digust. I should have seen it coming, but I seriously underestimated the evil inside that man. I took a deep breath of surprisingly breathable air and surveyed my surroundings. To my right was something that looked like half a large sphere made up of smaller crystalline shapes held together by a metallic substance. As I started towards the structure, a doorway appeared and a tall bipedal creature materialized. The creature raced towards me. Steping backwards, I tripped over my helmet and fell to the ground as the monster stood over me. I quickly grabbed my helmet and flicked the speech translator on. The landscape was almost totally barren, almost desert like, save this strange structure before her. As she walked towards it, she heard a slight hum emanating from inside. She placed her hand on the side of the structure, as if she expected it to breathe. Samuels walked to the side of the structure that was out of the direct sunlight. Rounding the corner, still touching the structure, she heard a click. Nothing happened at first, but then the hum of the structure began growing louder. Soon, she could see something moving out of the corner of her eye. It was opening to let her in. “A dropship!” She screamed excitedly. Once inside, she sat in the pilot seat. Suddenly, more humming. This time it was something above her. An alien headpiece had presented itself. She wasn’t sure if she should put it on, but decided to anyway; She’d be dead soon if she didn’t at least try. She removed her suit helmet, and placed the new foreign helmet on top of her head. Almost instantly, she saw flashes of her past rushing through her mind like a movie running 100 times faster than it should. Then she saw memories that weren’t hers. It was as though she was downloading all the information of former pilots. Once it was over, she could read the controls perfectly on the console. She looked toward the sky and said “Now it’s your turn, Jeffries” as the ship lifted off the ground. As the transporter kicked into gear, Ensign Samuels heard the low, cacophonous cackling that coiled out of Ensign Jeffries’ gnarled, vicious grin. But it didn’t seem like an appropriate gesture. Sure, her unexpected arrival here was undoubtedly driven by malicious intent, but this place seemed Edenic. There was an abundance of vegetation flourishing; bursts of deciduous and coniferous trees thrived alike and hung overhead. The presence of so many plants assured an adequate amount of oxygen, confirmed by the particle mass measurements of Ensign Samuels’ air quality monitor. With so many plants, sustenance was a guarantee. The only matter of concern was the dome that loomed nearby. It stood silent, but foreboding, as Samuels investigated at a cautious distance. The triangulated surface of the structure resembled rigid carvings forming a jack-o’-lantern, but there were no gaps. Without warning, the dome let out a tumultuous groan and the tessellated teeth unhinged its jaws. Ensign Samuels staggered at the sight of the gnarled, vicious grin crawling over the inorganic surface. The monitor in her hand began to stir; the chemical balance of the air was rapidly changing. Samuels sprinted away from the dome, navigating the thick forest with the ungraceful agility of her panic. She ran with desperate fervor until the forest cleared and she approached an endless curved wall towering over everything. Though growing disoriented, she finally realized where she was: a greenhouse. This was Earth’s future batch of trees being fed carbon dioxide. And she would soon become fertilizer. Midra had been on the Interstellar Ship Petraeus for six months, and had waited even longer for an assignment to explore a new planet, make contact, build relations. She unsnapped her helmet and inhaled. She was greeted by a hint of lavender mixed with earthy soil, and the cells of her body seemed infused with a stillness. She studied the masterful construction of the geo-dome and scanned the area for inhabitants. A life form blipped forty meters ahead. She made her way through the trees which surrounded the geo-dome; they parted for her, as if welcoming her. Twenty inhabitants, registering as one being, formed a perfect circle. They extended their hands to Ensign Samuels to join them. “Is her Excursion completed, Doctor?” asked Antona Samuels. “Yup. She’s fine.” He noted but dismissed the mother’s constant blanket tucking. Most people took longer to form their first clear thought after transport, but Samuels’ thoughts became clear immediately. They mostly consisted of vivid depictions of Ensign Jeffries’ murder after she would arrive from her little transport mishap. “Oh, don’t worry, that’s been done already”, a voice to her left announced. She knew that voice. She had heard it on the intracom a lot. But she had recorded the ship’s intracom messages herself. Sure enough, to Samuels’ left, Samuels recognized Samuels standing beside her. She wanted to form some sort of sentence, but all she managed was a breathless “wha…” before canceling the attempt. The other seemed to know regardless.